Italy coach Giampiero Ventura handed teenage AC Milan goalkeeper Gianluigi Donnarumma his debut but began his reign with a 3-1 defeat to France in the southern city of Bari on Thursday. Ventura replaced Antonio Conte last month and pledged to carry on the good work of the current Chelsea manager following the Azzurri's impressive march to the quarter-finals of Euro 2016. 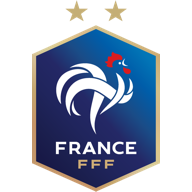 But goals from Manchester United striker Anthony Martial and Arsenal's Olivier Giroud either side of Graziano Pelle's 21st minute strike gave France a 2-1 half-time lead. After Donnarumma replaced Juventus legend Gianluigi Buffon for the second period, the 17-year-old made one impressive stop before making his first major error for the national side. Barely 10 minutes before the final whistle, Donnarumma came off his line at his near post to anticipate a Kurzawa drive across the Italian goalmouth, only for the Paris Saint Germain left-back's strike to spin into the far corner of the net. It was France's first outing since Les Bleus lost the Euro 2016 final on home soil to Portugal. It was also an historic occasion in terms of football regulations, the Video Assistance Referees (VAR) system being tested out for the first time as part of FIFA's plans to introduce it worldwide. 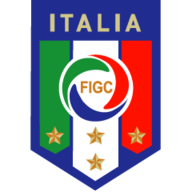 Italy, ousted at the quarter-final stage of Euro 2016, begin their 2018 World Cup qualifying campaign on Monday away to Israel in Haifa.